When anyone says the word ‘dentist’ or ‘dentistry’ it’s quite easy to picture a human, male or female, leaning over you with teeth cleaning equipment, or someone laying on a dentist chair with a bib and mouth full of cotton. 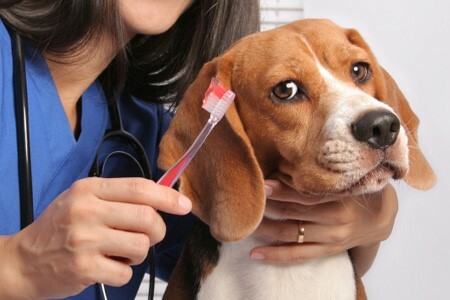 Yet what many people may not be aware of is there is another kind of dentist, one who also deals with patients that have canines, root canals, and need their teeth cleaned thoroughly, but may have a tail, fur and some claws. We are of course speaking about Veterinary Dentists, the ones who help look after the other occupants of this great planet. 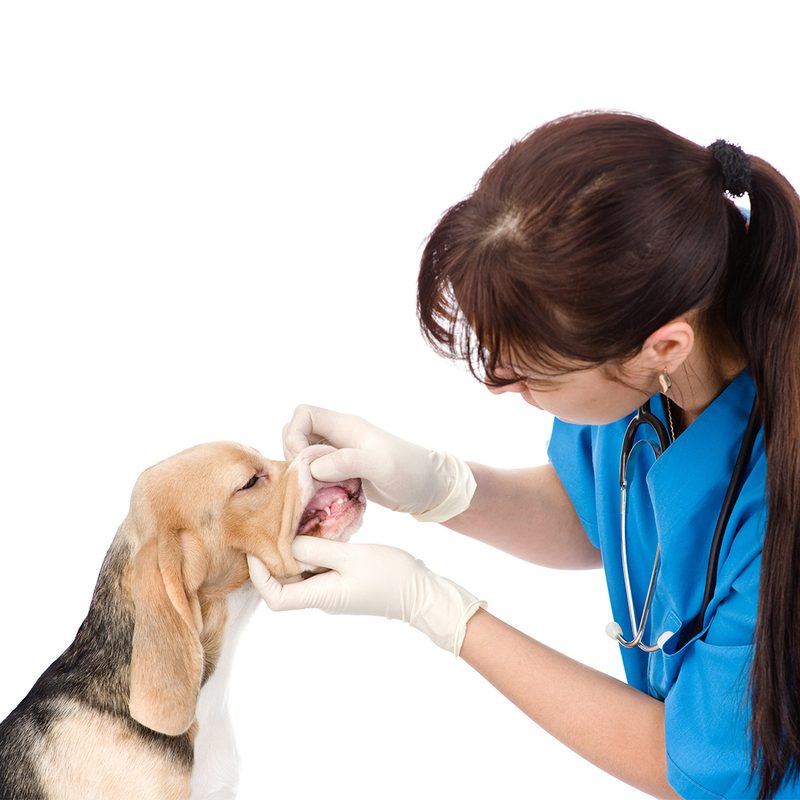 Much like human dentistry, veterinary dentistry also handles conditions such as jaw fractures, malocclusions, oral cancer, periodontal disease, stomatitis, and other disorders unique to veterinary medicine such as feline odontoclastic resorptive lesions (lesions between the gum line and tooth). Another similarity between the two professions is having a trusted team around you to get the work done. 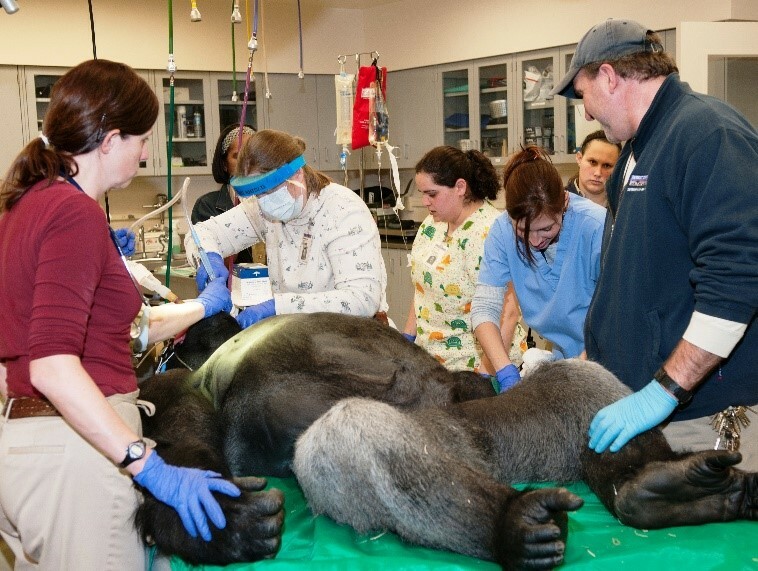 Whether the patient is human, or a 6-foot gorilla (above), having team members you can trust to assist you not only puts you at ease, but also makes it easier on the patient. 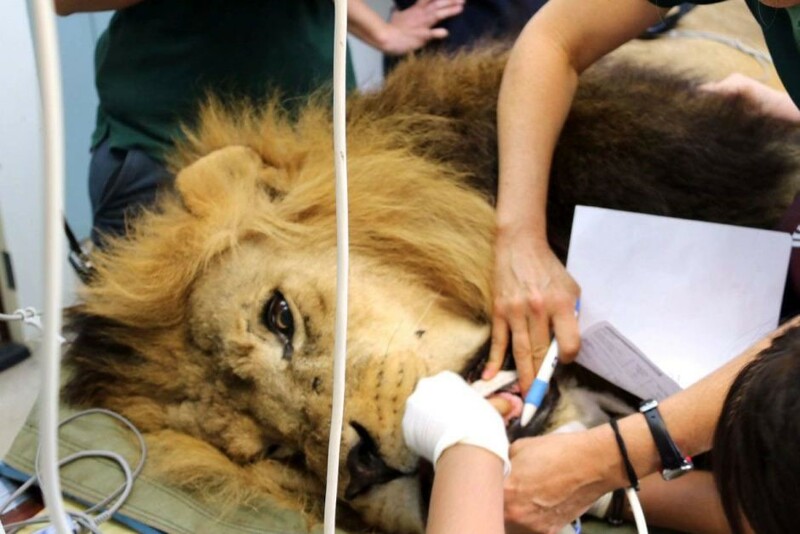 The only real difference between the two, is that veterinary dentistry usually use general anaesthesia to restrain domesticated and non-domesticated animals. 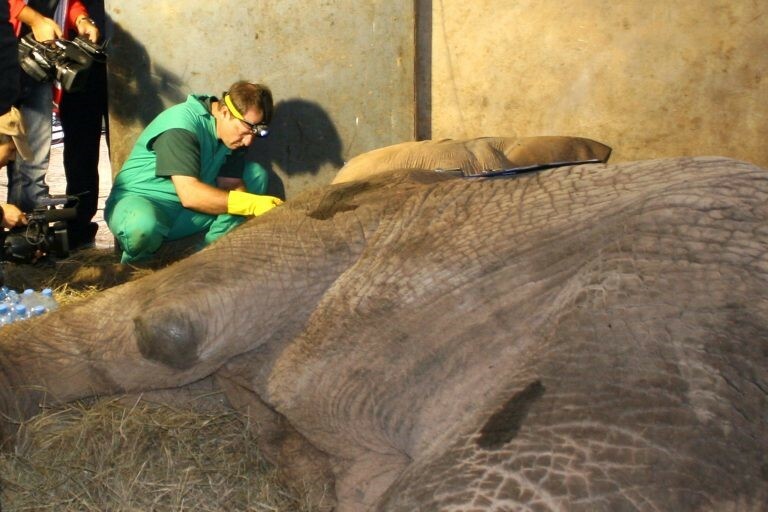 One of the major concerns with working on animals, especially non-domesticated and exotic, is the fear of them waking up mid-procedure. 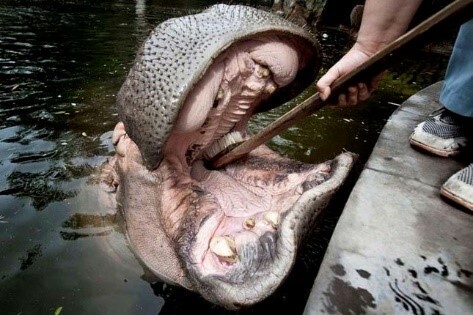 When dealing with such animals, it is not just the potential of the dentist being bitten, but also the animal and the dentist’s team working around them that could also get injured. So while the patients may be different, the treatments and care taken with both is still definitely the same. 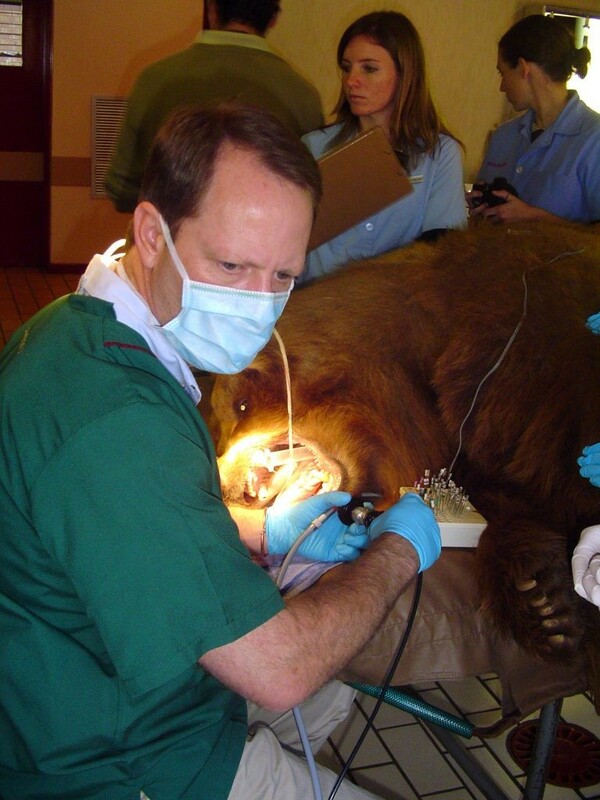 We hope that you have enjoyed this little excursion with us in to another side of dentistry, just promise us that you won’t try to inspect their teeth the next time you are at the zoo.